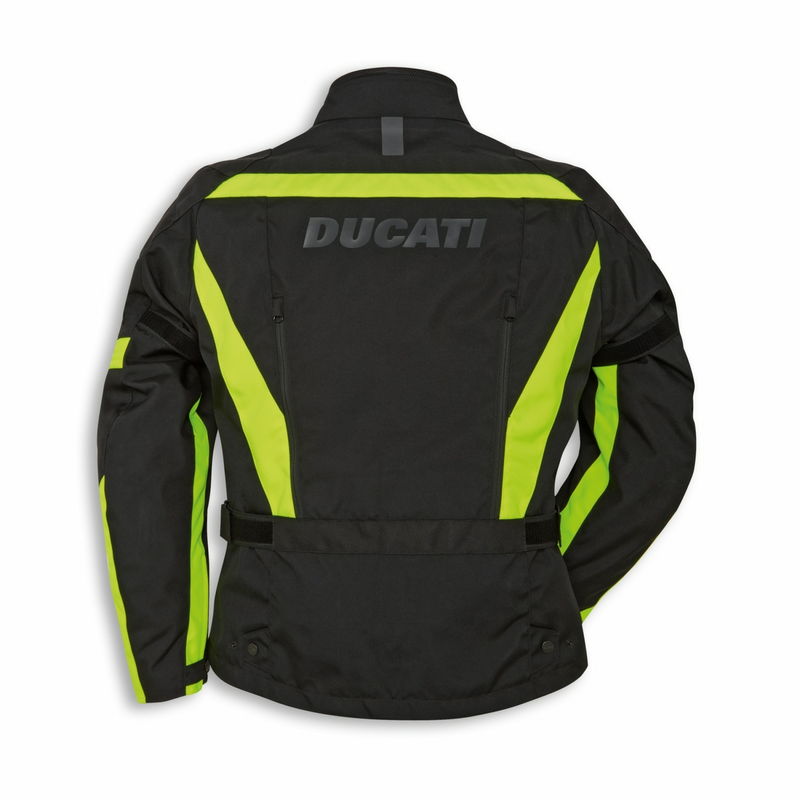 The Tour C3 jacket, specific for sport-touring use, is produced by Spidi exclusively for Ducati. CE-certified according to the European standards, it has protectors on shoulders and elbows and is suitable for use with a back protector (to be ordered separately). 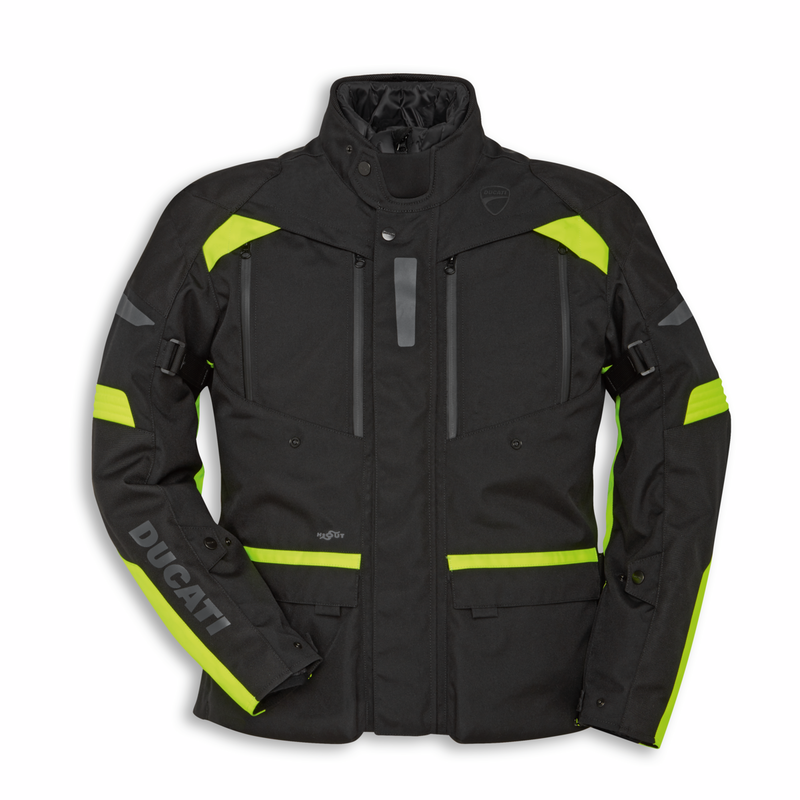 The outer jacket, made of a mix of polyester fabrics, is equipped with large and efficient air vents and with the waterproof and breathable H2Out® membrane. 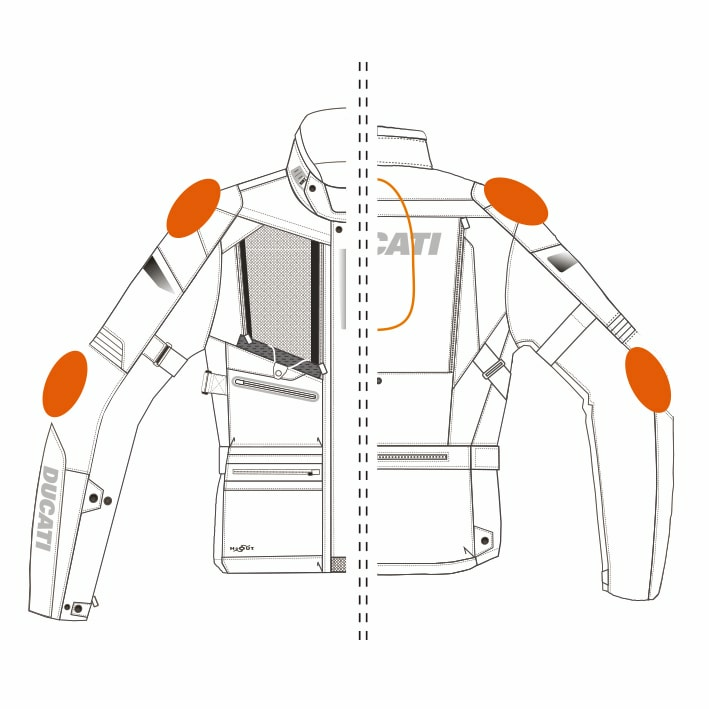 Inside is the removable thermal lining that can be worn as a casual down jacket. Designed to be worn with Tour C3 trousers with zip, the jacket is available in a men’s cut in black/red and high-visibility black/yellow, and for women in black/red.